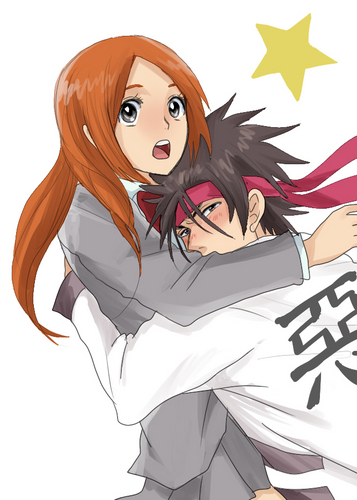 Sanosuke x Orihime, Cross-over couple. Rurouni Kenshin x Bleach. HD Wallpaper and background images in the ऐनीमे club tagged: anime rurouni kenshin bleach sanosuke sagara orihime inoue cross-over cross-over couple.